With every purchase, the question of the proper size is usually to try an open secret. Do you want to be sure that you choose the right size? 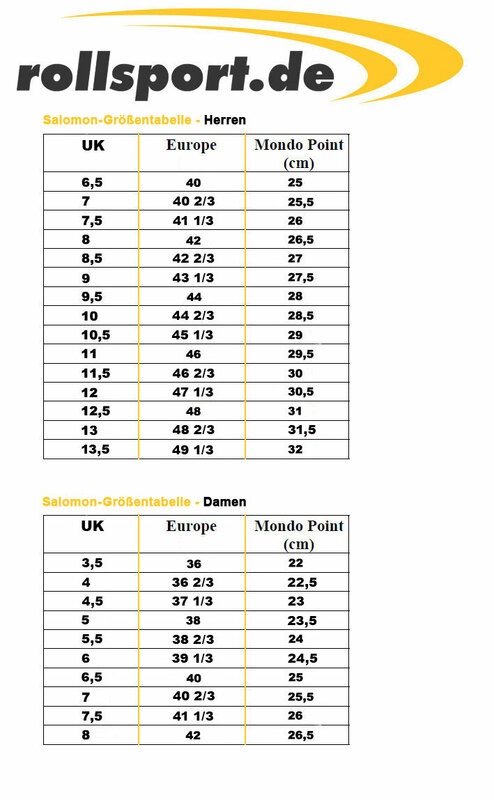 We have created for you the Salomon size chart to give you a bit far more to help you.If you really want to make sure that you the Salomon shoe fits, please measure your feet like this. Imagine. Onto a meter stick / ruler with your heel completely to the wall You measure from the heel to your longest toe, then write down the size and add +1 cm. Then you can find out about the details of the error cm size. You still have questions? Then you can always contact us by phone or e-mail.